Welcome to a2z Support, your resource for how-to guides and FAQ. 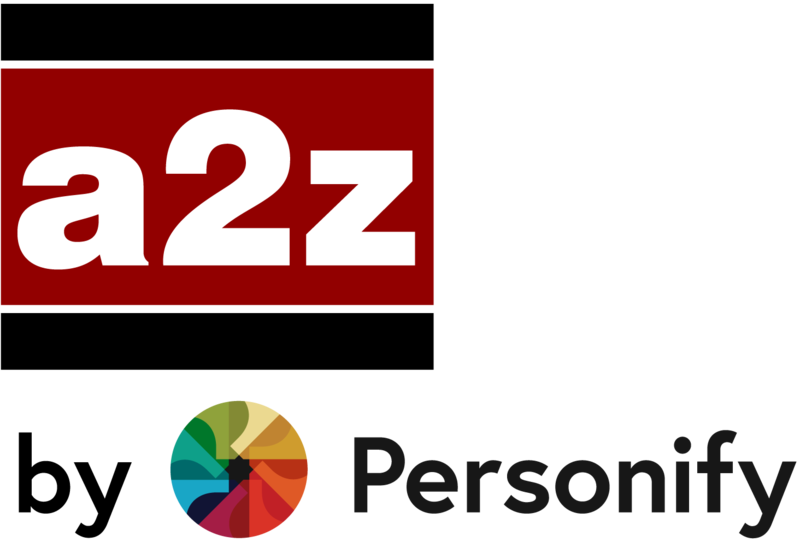 Begin the journey with a2z by Personify, Inc., your Event's technical support provider. Peer Connect offers attendees pre-event matchmaking tools to enhance their event experience. While every event site differs, we hope to guide you through what you can expect on the Peer Connect page or visit our FAQ's*. Let's begin by logging into My Planner and click on Peer Connect, often called the Attendee List. On the Attendee List page, users may* see a variety of features available. If your event offers Peer Connect or Matchmaking, user's would see an envelope (email) icon to click on to experience attendee networking. Email balances are set by the event, contact them directly with limit questions. Emails sent to Peers arrive to the recipient's personal email. Emails you send to attendees go directly to their personal email on file. Recipients receive your personal message enclosed in an email from the event on your behalf with the subject line "Message from an Attendee Participating in (Event Name)"
Design and content of emails sent from each event vary. Below is an example. Contact the event directly to confirm the event template content. If a recipient chooses to respond, the sender will receive responses to their personal email editable within My Profile. This response will include the recipient email and contact information. In the instance you receive a notice that a Peer email is invalid, be sure to let the event know directly by forwarding the returned email. This gives the event management team the opportunity to reach out to the attendee to see if they have another email available that they wish to utilize. This also offers the event team the opportunity to credit your account another email credit if they cannot locate a valid email for the peer you wish to contact. Q: Where are my sent emails? A: Peer Connect or Matchmaking does not offer a sent emails page at this time. Instead you may wish to favorite those you have emailed to keep your own list available. Q: Can I add attachments, code or design elements into my emails? A: Not at this time however, users may add a personal text message. Q: Can I export the attendee list to a spreadsheet? A: While the Attendee List is not exportable to a spreadsheet, you may be able to utilize print screen on your desktop to have the list handy or if your event offers it, carry your list with you on your event's Mobile App. Q: How do I search by keyword? I searched by keyword and no results were provided, is this right? A: Keyword searches are derived from the attendee (peer) profile field. Try searching keywords an attendee would use in their profile or biography to receive the best results. If your event has an Advanced Search tab: Results of keyword searches may not always appear,as they are based on search criteria. For example, be sure to search with just your keyword and not any other factors like geographical location unless you wish to have attendees with that key word, only in that location. If you prefer a broader search, be sure to take out other criteria and only search by key word. Alternately, if you receive too many results for a keyword, try other criteria like categories, location or other factors your event offers under the Advanced Search tab. Q: What is Peer Connect? A: Connect is a matchmaking and networking solution that helps to connect attendees with other attendees (Peers) before, during and after an event. Q: Why should I use Connect? A: Connect enables attendees to maximize their time onsite by networking and scheduling meetings with favorite peers before the event begins. Q: How can I make sure to receive the best possible recipient responses from Connect? A: To receive higher response rates from recipients, be sure that your My Profile page has been completed. Most of your information is already in your profile, but it's always a good idea to review it in case important information has changed. Equally as important, be sure to create a personal message or content to engage the recipient in wanting to respond when sending emails. Q: How do I unsubscribe from Connect? A: Your My Preferences from within the My Profile page determines your ability to use Peer Connect or Matchmaking features. Only turn them off if you do not wish to utilize Connect by receiving email requests. *Disclaimer: Please be advised that not all content and functionality above may be available as it is up to the event to decide what pages, fields and features they wish to utilize. If you would like some of these features for next year's event, contact the event directly to request them. © , a2z, Inc. All rights reserved.